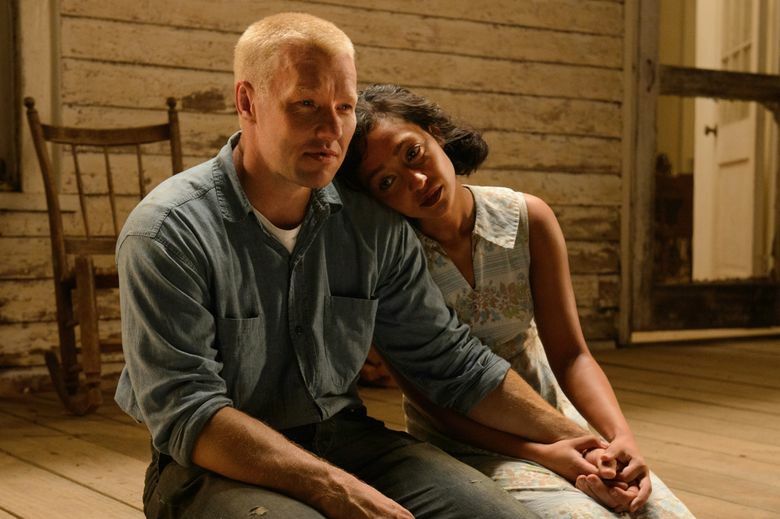 Movie review of “Loving”: It’s the quiet, tiny moments between the Lovings (Joel Edgerton, Ruth Negga) that make this a must-see film. Rating: 3-and-a-half stars out of 4. “Loving” begins with quiet — not dead silence, but the faintly humming stillness of a rural front porch on a summer night. Listen to it, because that sound is what motivates the people in Jeff Nichols’ sensitive film, and what characterizes the film itself. In a remarkable true-life story, a couple embarks on a yearslong fight for justice: not because they are thinking of history, not because they want to draw any attention to themselves, but because they simply want to raise their family in their tiny hometown of Central Point, Va., hearing those soft crickets at twilight. 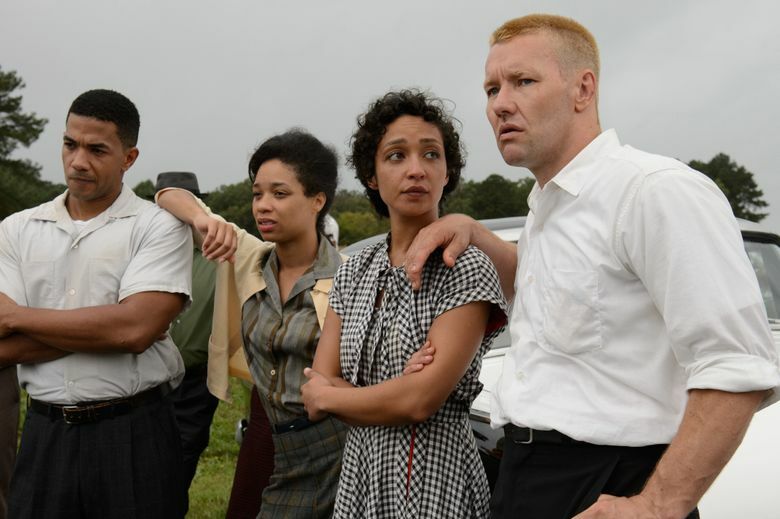 Richard and Mildred Loving (Joel Edgerton, Ruth Negga), a white man and an African-American/Native-American woman, were forced to leave Virginia after their 1958 wedding — then illegal under state law forbidding interracial marriage. After years in Washington, D.C., they returned to Central Point, and with help from an ACLU lawyer (Nick Kroll), their case went to the Supreme Court of the United States. Low-key and unassuming, the Lovings — was there ever a couple with so appropriate a name? — declined to attend the hearing. He, a brick­layer, went to work; she stayed home with the children. It’s a film about heroism and the right to love, told without stirring speeches. Instead, it unfolds movingly in the tiny moments between Richard and Mildred, two people who have, quite simply, found a home in each other. Watch how Edgerton’s Joel, a stoic man of few words, puts an arm around Mildred without seeming to think about it, naturally wanting her near; watch how Negga lets her performance speak through her expressive eyes, always looking for Richard. ‘Loving,’ with Joel Edgerton, Ruth Negga, Marton Csokas, Nick Kroll, Terri Abney, Alano Miller, Jon Bass, Michael Shannon. Written and directed by Jeff Nichols. 123 minutes. Rated PG-13 for thematic elements. Several theaters. The film droops a bit when the lawyers take over for a late sequence, but just try to shake the image of the couple, at the end, facing reporters as Richard’s head trembles on Mildred’s shoulder. The two of them, at that moment, see nothing but each other: just the Lovings, loving.